We provide short-term therapy, long-term therapy as well as personal development and counselling for adults and youth. 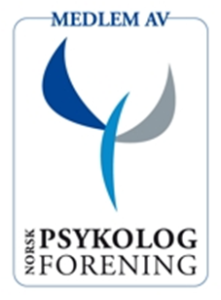 We are clinical psychologists in private practice in downtown Oslo. 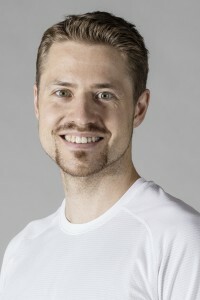 Educated at the University of Oslo, Gunnar is a clinical psychologist in full-time private practice. His previous experience is from Oslo University Hospital and Modum Bad. He has experience with a variety of treatment modalities and types of psychological problems. During a research project at Modum Bad under the supervision of Harvard professor Leigh McCullough Ph.D, he analysed a large number of therapy sessions in both short-term dynamic therapy and cognitive therapy. This work gave him a solid foundation in psychodynamic psychotherapy. Currently he is a candidate in the group psychotherapy training programme at the Norwegian Institute of Group Analysis (IGA). In addition to his clinical degree, Gunnar holds a B.A. in philosophy from the University of Oslo and the University of Toronto, and is also a yoga and meditation teacher educated at the Norwegian Yoga Teacher Academy. In the last years he has been involved with the Diamond Approach work, a contemporary path of inquiry and personal development that integrates modern psychology with Eastern wisdom traditions. Gunnar leads the personal development group Mindfulness in Relationship for English speaking participants. 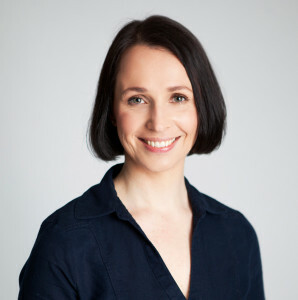 Tuva is a clinical psychologist educated from the University of Oslo. From 2009 to 2011 she was a therapy rater in Leigh McCullough’s research on The Affect Phobia model. Her master thesis was on this project. From 2015 to 2016 she was Administrative Secretary at The Norwegian Institute for Mentalizing. From 2005 she has been a student of Sandra Maitri in The Diamond Approach. From 2012 until 2014 she took part in the teacher-training program in this school. The Diamond Approach integrates the perennial philosophy and techniques from the wisdom traditions with contemporary psychology. Tuva’s approach as a psychologist is mainly influenced by the dynamic tradition of psychotherapy, where the therapeutic relationship itself is a major vehicle for transformation and understanding. Her work is also coloured by The Diamond Approach, e.g., by focusing on understanding recurrent patterns, disengaging from our inner critic, and doing inquiry into our experience here and now. Tuva is also influenced by Buddhist philosophy. Her master thesis in Comparative Literature (University of Oslo) was on the relation between The Four Quartets by T. S. Eliot and the Buddhist philosopher Nagarjuna. Her supervisor was Professor Kjersti Bale. Her bachelor degree from the same University was in French, Nordic and Latin. We have an integrative approach to therapy. This means we will tailor the treatment approach to your particular needs, situation and personality. We appreciate an open dialogue around what you feel works best for you. If you have questions or want to make an appointment, please click here. You do not need a referral from your doctor to make an appointment. No waitlist at the moment. Single session (50 mins): 1050 kr. Double session (90 mins): 1700 kr. Couples session (75 mins): 1800 kr. Personal development group (1h 45mins): 325 kr. Sessions are payable by card after each session. There is a 2 business day minimum notice for canceling sessions. We recommend that the first session is a double session, in order to have enough time to get acquainted with your situation. There is a price reduction if you are a student, out of work, or on social security.